Besides watching his favorite cartoons on the Disney Junior channel, my son Toby loves watching the “Blippi” Youtube channel. I’m not sure how he discovered Blippi (perhaps daycare?) but the fact is, he loves this character. Blippi is a an adult male Youtube star with millions of viewers. He targets preschool age children with videos showcasing shapes, colors, vehicles and catchy songs. He often travels around the country to visit kid museums and interviews police officers, firefighters and other community leaders. Toby is always asking to watch Blippi. He’s obsessed. 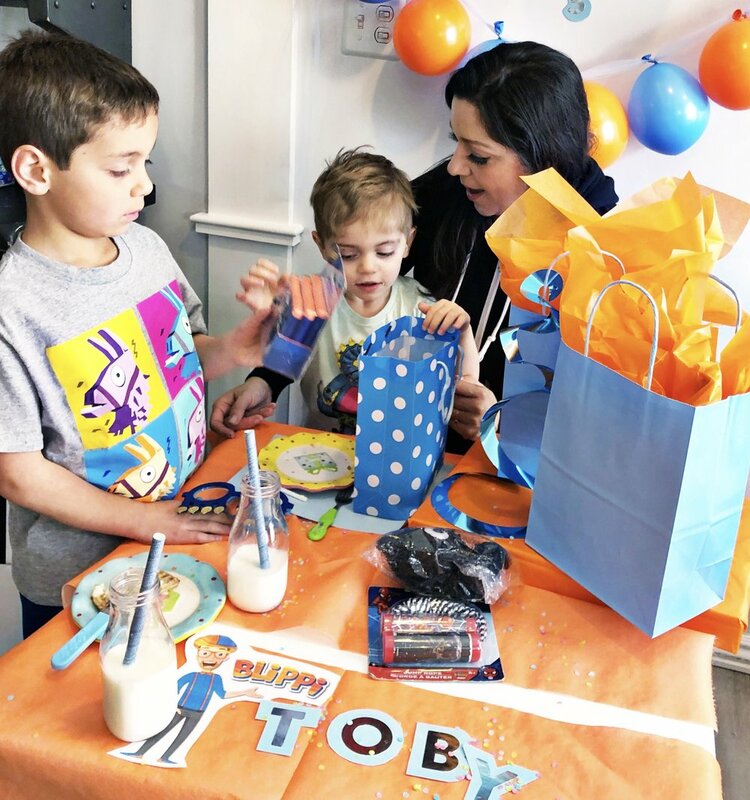 throwing my son a Blippi-themed birthday party (mainly because I love the colors of Blippi’s brand— orange and baby blue), my husband and I learned that a few years ago Blippi recorded himself defecating on his friend. omg. How nasty is that? My husband and I had a long discussion about this. Look, we know he didn’t actually commit a crime. We also know he was trying to become a famous Youtube star long before he became Blippi. Several friends of mine laughed it off and thought it was no big deal. But I was pretty grossed out and decided to start limiting Toby’s Blippi TV time. we reduced the Blippi-themed birthday celebration to a simple breakfast where the only Blippi reference was a faded Blippi printout. Then we celebrated his 3-year birthday with a Disney Pixar’s Coco-themed bash. Still, my son got his Blippi shoes (which were purchased before the pooping video surged) and he got other Blippi gifts. He was super excited. we’ll hopefully move to a new favorite character with a less crappy past. LOL. 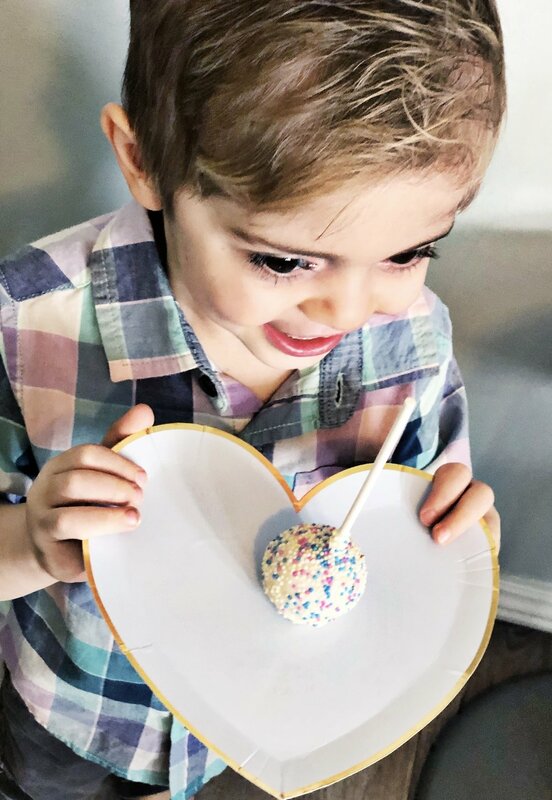 When it comes to Valentine’s Day, I love doing fun and festive things for Benny and Toby—even if it means pink balloons and soft pastels! In anticipation of the annual LOVE day, I went to Bristol Farms Mulholland and picked up their awesome Valentine’s Day Meal for two promotion that includes HEART-shaped wellingtons, Potato Au Gratin Dauphinoise, Steamed Asparagus and Peppers and Heart-Shaped Chocolate Ganache (more on that in the next blog post). when I saw the display pictured above upon entering the Bristol Farms Mulholland store? I immediately started thinking of (and shopping for) my little boys! with a surprise dessert table. For that, I bought beautiful heart-shaped paper plates and napkins by Meri Meri. I got ice cream shaped gummies by Sugarfina, a giant Hershey’s kiss and then… drum roll please… I walked over to Bristol Farms’ bakery section. The selection of Valentine’s day-themed pastries and sweets was so fabulous, I may have gone a little crazy. And chocolate-covered strawberries and even picked up some fresh organic strawberries from the neighboring produce department because, well, balance. Lol. Honestly though, I figured that if there’s a day of the year when a sweet tooth fix is appropriate, it might as well be Valentine’s Day! I went to my office, cleared some space and organized a tiny dessert table. Carefully placing the treats over small stands and paper napkins, I added a few of my personal tea forks (which the boys never use because they would all end up broken) and placed my golden wanna-be Mickey Mouse for a touch of whimsy. When they walked in, my sons were all smiles! I made them tell each other they love each other and when I started with my mini photo sesh, they protested against having to take pictures before eating their treats by covering their faces with the heart-shaped paper plates, which probably turned out to be the best photo of the day! 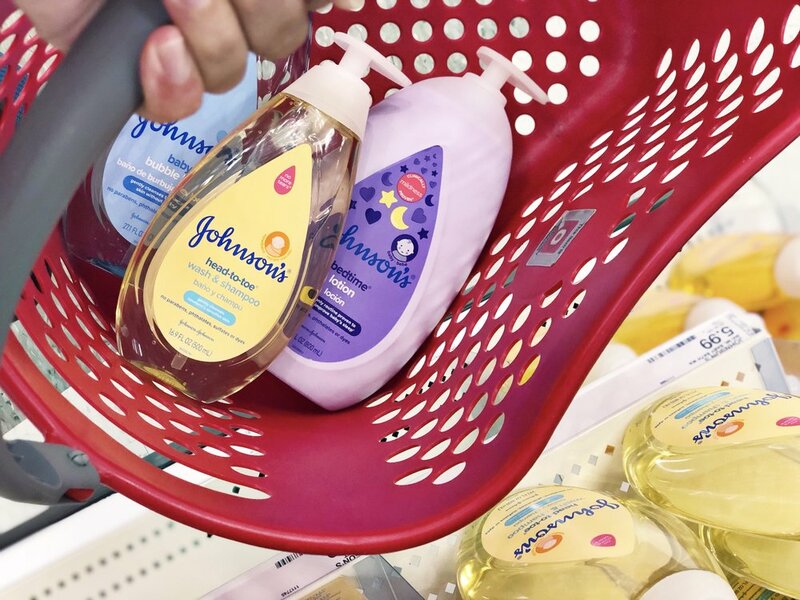 Friends, small acts of sweetness go a long way with kids. By taking advantage of any festive occasion to remind them how much we love them, we’re creating memories they’ll (hopefully) take with them to adulthood. On this particular day, we shared tons of laughs and it was an easy set-up thanks to Bristol Farms having everything available in one great place. Coming up, I’ll share the actual reason I stopped by Bristol Farms last week— the very delicious Valentine’s Meal for two currently accepting pre-orders until midnight tonight! "'Mama, Are you on vacation?'..... No, son. Definitely Not"
Friends, I’m among the 800,000 federal employees on furlough due to the partial government shutdown (more on that in a bit). When Benny noticed that I’ve been able to drop him off and pick him up at school every day, ON TIME, for two weeks in a row, he asked if I was on vacation. “No son. Definitely not,” I responded. Currently, I’m not working and I’m not getting paid. As a matter of fact, I just missed my first paycheck in nearly ten years of working for the federal government. And while I generally limit my opinions on the topic to face-to-face conversations with close friends and relatives, today I’m opening up a bit more. I won’t be sharing what I think about the current state of politics— but rather what a shutdown means. Here with a group of wonderful co-workers during a detail I completed back in 2014, in Washington D.C.
often giving interviews on behalf of my agency at local TV stations and media. Today, I have the privilege of holding a position in the legislative affairs division of my agency. As a public servant of this great country and given my unique job roles, I have always carefully obeyed the Hatch Act. is a law that prohibits federal employees from engaging in political activity— including comments, campaigning, lobbying or even wearing partisan buttons or clothing, while on the job. Because anything anyone says can easily go viral in these days of massive technology use and the tense political climate, I’ve made it a point to err on the side of caution and avoid talking politics even outside of the office. I’ll be honest, it’s been hard to stay quiet recently. But since it’s a great honor to hold my current position, I choose to stay loyal to the idea that working for a federal government agency means I’m working for all Americans, regardless of anybody’s political inclinations. With a few former co-workers during a business trip to Arizona in 2015. Every year, the government must decide how much money it needs in order to keep running (kind of like creating a yearly financial plan for your family). Our elected officials in Congress come up with a budget which is supposed to allow the government to operate from October 1 through September 30 of the following year (our fiscal year). Once our lawmakers decide how much money is necessary to fund the many different agencies, federal programs, services, etc., the President reviews it. If the President agrees with the numbers, he signs the budget and things keep moving. Some years the budget may reduce funds for certain agencies, other years it may give an agency more money than was expected. Selfie with one of my co-workers during training in Washington D.C.
when the end of the fiscal year was approaching, it was clear that lawmakers in D.C. were NOT agreeing on a budget. That’s why, before the fiscal year ended, they simply approved an “extension” of sorts to keep the government running at the same levels through December 7. When December 7 came around, there was still no agreement on the budget so lawmakers then approved another extension (called a Continuing Resolution) through December 22. But when the clock struck midnight on December 22, they still had not agreed on a budget, nor did they approve another extension. That was when the government closed. And it remains closed for many agencies. Before this complicated budget fight, Congress had already approved a smaller budget to keep a few agencies running through 2019. Those included agencies that conduct “essential” operations like national security, emergency services, law and order as well as the U.S. Postal Service. Since that smaller budget was a separate item, it didn’t get lumped into the big budget and that’s why some people never got furloughed hence the partial Government Shutdown. At this point, there’s no way of knowing when a budget will be approved. There have been several attempts to reopen government but none have worked so far. When there’s a government shutdown, federal employees are not allowed to work, meaning, no visits to your office or logging in to your government computer or answering your government phone. People are allowed to file for unemployment benefits. However, if employees eventually return to work and get retroactive pay (which the President just approved), those unemployment benefits will have to be refunded. Still, for many families, the need is too great to worry about having to later repay unemployment payments. They need a paycheck. Many employees have been asked to work without pay. I’m not one of them… at least not yet. The unfortunate aspect of having to report to work without getting paid is that you cannot collect unemployment benefits even if you’re not getting paid by your agency. Friends, there’s no question the government will reopen… I mean, It HAS to. But just how long it will take is anyone’s guess. In the meantime, I’m trying to maximize my time at home, organizing sock drawers, rearranging my pantry and working on keeping the house clean. I’m also working hard on my magazine and helping my husband Paul with his CPR business. I hope anyone affected by this government shutdown is keeping their spirits high. Keep in mind that many successful business owners and entrepreneurs have become such after surviving times of financial instability. Let’s try to make the best of this experience. My baby is a big boy now! Since this blog was initially intended to be a web log or online journal of sorts, today I will use it as such. 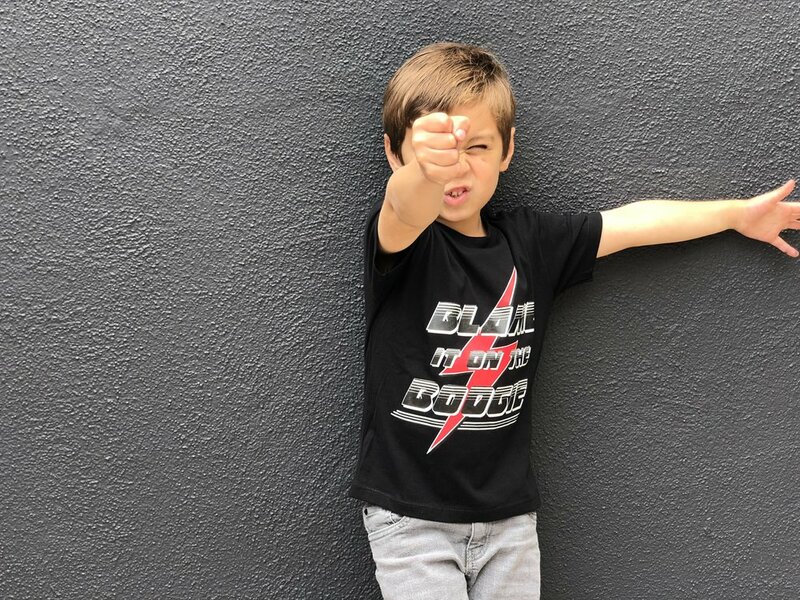 I’m writing a brief letter to my son, to keep a memory of the thoughts, feelings and experiences of December 7, 2018 when Benjamin turned six-years-old. I woke up extra early today to prepare a “birthday pancake” breakfast at home. You were fighting a cold but still enthusiastic and eager to know if, on your birthday, you’d be receiving your arcade-themed sneakers. Instead, I surprised you with breakfast, balloons & a Nintendo Gameboy Advance! We’ve had a tough few weeks. I was really sick with an awful cold recently and you were experiencing growing pains and emotional moments— from living the consequences of misbehaving in school to understanding the concept of a guilty conscience. Kindergarten has been a challenging transition for you but through it all, your maturity and willingness to own your mistakes has allowed you to carry on and has made me very proud! Toby wasn’t sure how to use the party blow horn during Benny’s birthday breakfast, which made us laugh…A LOT! You are a great big brother! You protect Toby and share your toys with your little brother, even at the expense of your own fun. You’re a great dancer, often impressing me with your “freaky robot” moves and imitating some of Michael Jackson’s choreography. You are doing great with your “snap” words and beginning to read short words. Your love of books has increased throughout the years and I love seeing how very curious you are about life. You LOVE arcades and arcade games and recently hosted “Casinoland” for our guests at Thanksgiving. 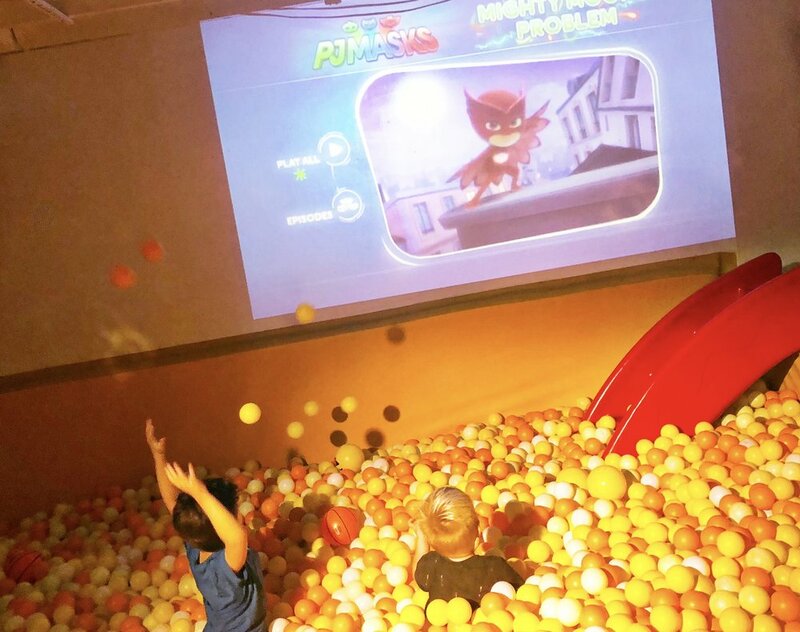 Basically, you coordinated a series of play areas for guests “of all ages”… there was an dance lounge, a card playing table, a game room, a fitness center and a lunch buffet, all directly created from your imagination. You were adorable, Benny! On another note, your front tooth is loose! This means the tooth fairy will be arriving soon! You didn’t want a birthday party this year requesting a “long day at the arcade” instead. I promise we will make it happen. but you have given it an incredible meaning because you are that special. I hope you enjoyed your birthday cake pancakes… I know for a fact, you loved the buttercream frosting drizzle and cherry on top! I’m sure you’ll have a great day at school. I’m on my way to a press conference for work but I’ll be thinking of you all day! When I get home you won’t be here tonight. That’s because Tia Frenchee is taking you for a fun adventure to Marina Del Rey and you’ll be spending the night at a “Boatel”… fun!!!! Oh yeah— those arcade game shoes you’ve been hoping for— Papa will surprise you tomorrow! May this be your best year yet little guy. Playtime with "Dr. Toby" and Koloreenies! A New Generation of Neonate Babies Has Arrived! Earlier this summer, we received an adorable Generation X-Clusive Koloreenies baby. It's a toy called a Nerlie, from the Neonate Babies line. His actual name is Lazukie and upon welcoming Lazukie home, Toby took control, donning a doctor's coat, and making sure this Neonate baby (from the region of Neotopia) was happy and healthy. After giving him a few shots and checking his temperature, Toby jotted down Lazukie's height & weight. You see, Nerlie measurements must apparently be recorded by way of scribbles and squiggly lines...hehe. The sweet little Lazukie arrived with 1 Umbilical cord, 1 diaper, 1 pacifier, complete Neonate baby documentation (including: 1 birth certificate, 1 neo-immunization schedule, 1 Neonate baby picture and 1 nursery card) plus 1 Dripity Drop (baby bottle). If you're lucky, your Nenonate baby may arrive with a dirty diaper too, however, Lazukie's diaper was poop-free (whew)! We wanted to make sure he enjoyed a comfortable sleep so we made a tiny little bed out of a Jewelry box lid and a hand towel. Legend has it that in northeast Neonatopia a Neonate species never seen before lived in the Kolorado Mountain Range born without color. However, one day, on their way back to Neo-kindergarten, these babies found the most brilliant rainbow and took its color and splashed it all over themselves! From that moment, they transformed into Koloreenies–– super extra kolorful and bright, staying that way forever. Toby is a bit young to understand the concept behind the umbilical cord... so he simply focused on tube-feeding Lazukie his bottle. When you remove the little pacifier that comes attached to its mouth, the Dripity Drop fits perfectly for a warm milk feeding. Overall, we love playing with our Koloreenies' Neonate Baby, the Nerlie named Lazukie. Toby is Lazukie's doctor and overall caretaker and I must say, he's done quite well. 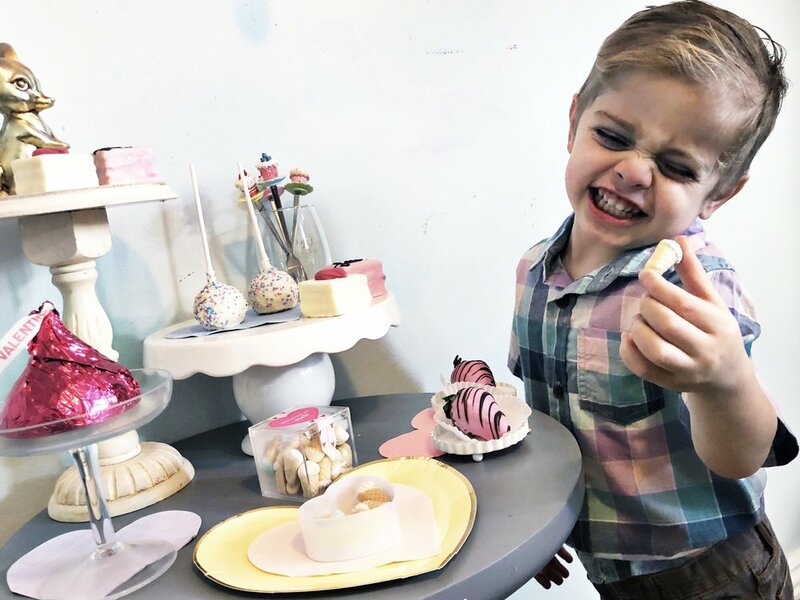 Even though the toys generally come in orange, pink and purple colors, which may be seen as toys intended for girls, I think little boys love to act as care-giving figures too. And Lazukie comes in green and blue which immediately caught Toby's attention. It's so very cute to see a toddler boy acting so sweetly toward a toy. It made my heart melt! The Koloreenies are currently sold out, however, you can "adopt" another one of Distroller's adorable toys by visiting www.Distroller.com. This is a sponsored post. 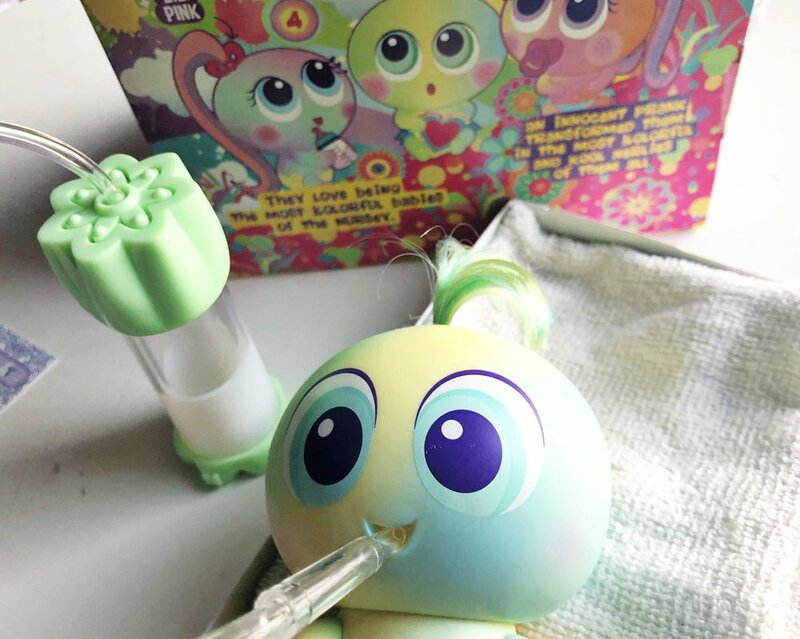 I received a free Koloreenies toy in exchange for a review. My husband picked up a set of red clown noses from Walgreens this morning. I opened one of them, put it on, then surprised Benny and Toby while they were enjoying a slice of pizza in the dining room. Their reaction? Contagiously loud laughter! Today is Red Nose Day, a fundraising campaign run by the non-profit organization Comic Relief Inc., intended to bring people together to have fun, raise money and change the lives of kids who live in poverty and need our help the most. The campaign has only been around in the U.S. for three years but it encourages families to host fundraisers and donate the proceeds to one of many organizations that help end child poverty in the US and in some of the poorest communities in the world. Globally, Red Nose Day has raised over $1 billion! 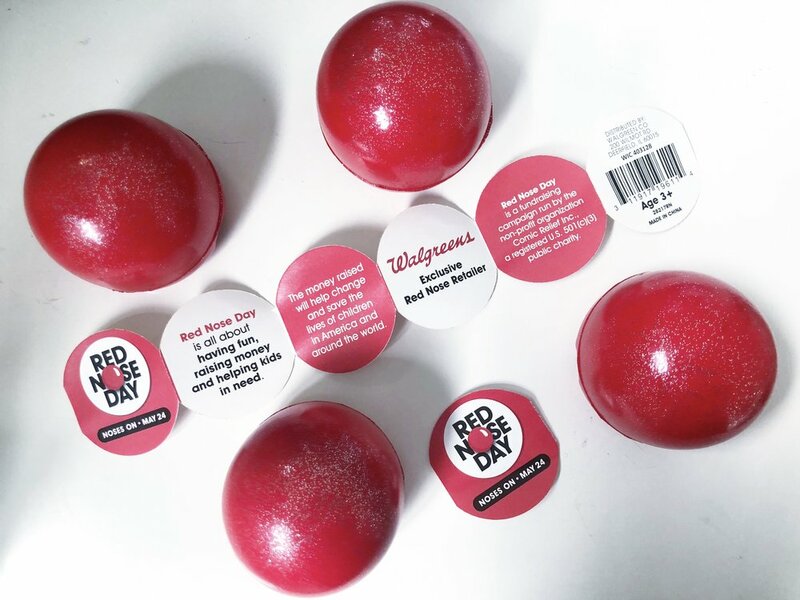 For every red nose purchased at Walgreens, you're helping Comic Relief Inc., help children in our country and abroad. It's really neat! Going forth, it's a cause I definitely hope to be more involved with. At 8/7c with Celebrity Ninja Warrior for Red Nose Day, which will bring together stars like Derek Hough, Ne-Yo, Nikki Bella, and so many more. For the very first time ever, beloved Ninja Warrior host Akbar Gbajabiamila will attempt the course. You won’t want to miss it. At 10/9c the Red Nose Day celebration on NBC culminates with The Red Nose Day Special, a star-studded hour hosted by the charming friend we all wish we had, Chris Hardwick. On Sunday, March 11, at 8:04 am, my great grandmother, Angelina Zavala Pineda, passed away. While processing this loss, I came across this blog post from two years ago that I decided to repost in her memory. 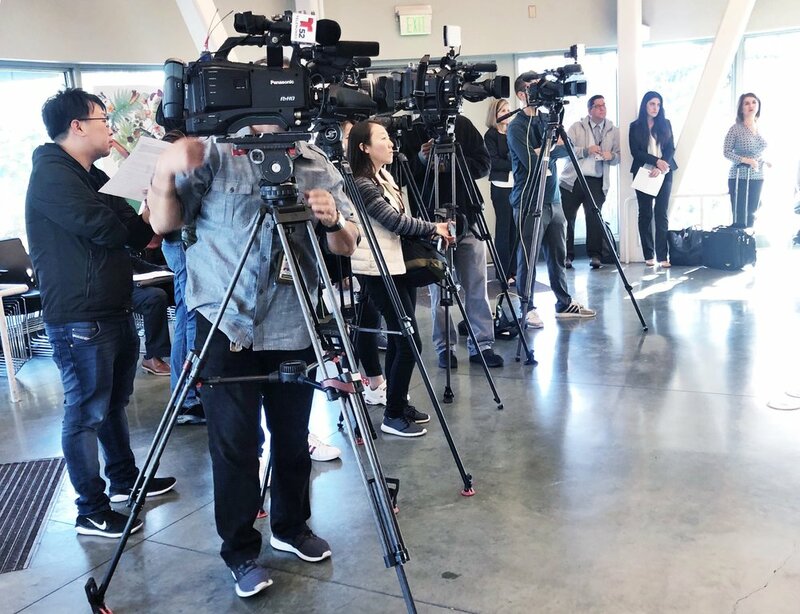 During my last few weeks of maternity leave, I started getting out of the house more often with Toby and eventually made my way out to Oxnard, where a big part of my family lives, including my parents and grandparents. One day while we were out there, the boys and I cancelled our beach plans because it was too cold and decided instead to spend a day at my grandmother's house, located in the "La Colonia" area of Oxnard. It was so nice to relax at her house. Her and my grandpa, Papá Migue were so welcoming and sweet! One thing I have to share is that my grandmother is the queen of "Kitsch". She owns hundreds of dolls and toys and collectibles, most of which were probably produced decades ago but somehow withstood the test of time to decorate the many dressers, cabinets and ledges around her house. Her home is a humble place that's only had a few upgrades since I can remember but that's what keeps it comfortable and nostalgic! For kids, a house like my grandma's represents an adventure at every corner since she has many fun things to keep them entertained. But as you get to know this fierce and outspoken 90 year old woman, you begin to understand the meaning behind her toy collection. Every little trinket in her home tells a story of a life full of sacrifices. She's certainly not a hoarder. The collectibles and dolls she has gathered over the years represent her innocence from an impoverished childhood in Mexico, where she grew up dreaming that one day she'd own a doll. She takes very good care of her dolls and we love to see her smile. The Perfect Pant for a Boy Mom! The Perfect Pant Provides a Perfectly Comfortable Option! This is a sponsored post. I received compensation for a review of the Perfect Pant. All opinions are my own. In a loud, rowdy house full of boys, there are few things that bring me peace on a busy week night. Those include having no dishes in the sink, enjoying a glass of wine when the boys go to sleep and wearing comfortable clothes around the home. Being that I usually wear khakis, skirts and suits to work, there's nothing like coming home and changing into lounge wear or some soft, comfy sweats. Lucky for me, I found a clothing item that's both loungey and soft. It's a pair of pants called The Perfect Pant, developed by Yvette and her husband, a California couple who believes that all women should own "that one perfect pant that stretches to their body shape, soft on their skin and machine washable." The pants don't have a waistband. They don't have hardware like waist fasteners, buttons or zippers. They simply wrap around your waist comfortably and have wide legs, providing ample leg room. The Perfect Pant got it right. They know women tend to wear many hats daily with housework, carpooling, going to work, fitness, travel and just lounging at home. "This pant fits all those categories. The fabric I designed, doesn’t pull or stretch out at the knees," says Yvette. "It can be washed & dried everyday without fading." You can learn more about the Perfect Pant here. It's all in the desserts! Before I started making weekend plans with Benny and Toby, my husband let me know he would be having his Jiu-Jitsu friends over for a Backyard BBQ on Sunday. My first question was-- but are they bringing their wives though!? We all know a bunch of dudes wrestling, grappling and sweating on mats can be a source of intrigue, yes... but after a while, a woman needs to have someone to talk to about makeup and celebrity gossip and annoying husband facts, etc. Right? The weekend arrived and Paul went to pick up meat, beer and chips. I called my parents over and they agreed to join us and bring salsa and all the ingredients required make chorizo tortas...yum! Carne Asada-- not too visually appealing if you ask me! Here's my husband holding a tray of Chorizo tortas made by my dad! Then it donned on me that it was the weekend right before Valentine's Day. So I went over to my laundry room where I store party and craft supplies and found an entire bin full of Valentines Day decorations! On Sunday, when the guys arrived, they brought their wives! I was happy and decided to start making Valentine's Day-themed desserts: Chocolate covered strawberries, cupcakes, and fruit skewers with heart-shaped strawberries (yes I know, strawberries already look like hearts but there's a way to make them really look like hearts). By the way, I actually delegated the strawberry and cupcake decoration duties to my friend Ashley, wife of Paul's friend AJ! Cupcakes are easy to make & everyone loves them! Because something healthy(ish) should always be included! Once the guys were done with their Jiu-Jitsu roll, I put out my little dessert table and suddenly the backyard BBQ looked like a mini pre-Valentine's Day gathering... Awwww. All this to say, the way to turn a dudes' BBQ into a cute and festive occasion is by way of sweet treats and small details like flowers, drinks served on champagne glasses and pretty serving trays. The drink stirrers served no purpose other than to make a the sparkling wine glasses look more Valentiney! We had a lot of fun and the desserts were actually quite a hit! Hollywood and Highland With My Cuties! Given Benny's recent obsession with arcades, I decided to take my boys to Dave & Busters in Hollywood for some food and games. It was a normal Saturday for us–– Paul was away at work and I needed to get the boys out of the house! Off we drove to Hollywood. We parked underground at Hollywood and Highland (enter structure through Highland as if you're going to the Lowe's Hotel). If you dine at one of the restaurants within the facility, you get 2 hour parking validation for $2! We had lunch at Dave & Busters which included a unique and refreshing icy grape soda beverage with gummy worms and later, a churro for dessert (from Street Churros outside on Level 1). Yes, I know...tons of sugar. Happy boys. Bad Mom. But believe me, I'm pretty good about healthy eating and snacking on weekdays, maybe. The boys can't see a ground-level water fountain without feeling an urge to run through it and get soaked. I allowed them to do so because, seeing their enthusiastic faces and happy smiles is priceless in a life that's so fast-paced and short. Hollywood with my boys was pure happiness! Benny's Juicy 5th Birthday Party! MY #BENNYBOYJOY IS GROWING TOO FAST! Blending In The Good for my Chiquito's Birthday! 2017 was such a busy year that I simply didn't have a chance to plan ahead for Benny's 5th birthday celebration. December 7 (his birth date) started approaching and I already knew I was going to be traveling to D.C. for work around that time. I also knew Paul wasn't going to be available a single weekend in December due to his job. So time passed and Benny's birthday week arrived with news that Paul's schedule would suddenly be changing in order to allow for mandatory training. Next thing I knew, Paul was going to be free on the Saturday immediately following Benny's birthday! I imagined a fun outing to Bob Baker's Marionette Theater in Downtown or a magical visit to Disneyland but my hubby had other plans. On the night my sisters and I took Benny out for his birthday to see George Balanchine's The Nutcracker, I learned Paul had graciously invited his family to celebrate Benny's birthday. 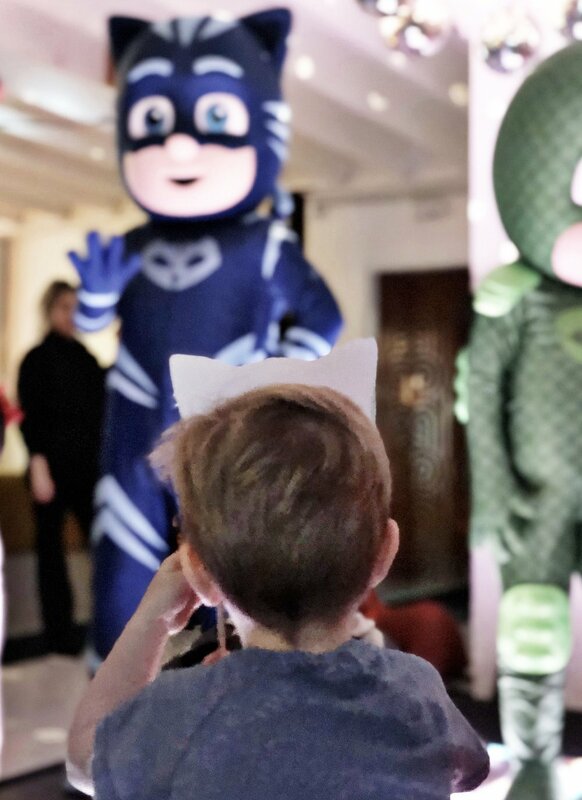 I was very excited about the prospect of decorating the house and throwing a party for the sweetest 5-year-old in the world but I literally had ONE DAY (Friday) to pull it off. So we rushed to our nearest party store and Benny went for an Emoji-theme which I thought was appropriate given this kid's love for technology and self-expression! Then I stopped by an ice cream shop, ordered Benny's Favorite cookies n' cream cake and upon arriving home, I dug deep in my garage bins for table cloths, streamers and balloons. I ordered pizza & lasagna for delivery and my mother-in-law and parents brought plenty of side dishes to share. On the day of the party, our guests had a very special surprise–– a Jamba Juice delivery that included vegetable and fruit juices and smoothies in three popular flavors. They were the highlight of the event! I set up the Jamba Juice cups on the favor table and dressed them with smiley face party hats. The kids were so, so excited to pick their healthy liquid treat! I've been a Jamba Juice customer for a long time. I love it because Jamba Juice started out as a little juice shop with a big idea: that healthy living starts locally. Further, their products are awesome (they carry 13 different kinds of fruits and veggies) and they do great things for the community, like participate in securing garden grants for schools, help community fundraising efforts and promote childhood health through Team Up for a Healthy America. Plus, their smoothies and juices are refreshing and delicious. On the day of Benny's birthday celebration, we enjoyed Peach Pleasure Smoothies, Strawberries Wild Smoothies and Tropical Greens Fresh Squeezed Juice cups. It was a very quaint and small party. I didn't get to invite the rest of my extended family since things were so rushed, but one thing's for sure, we'll be having Jamba Juice again at the next one! 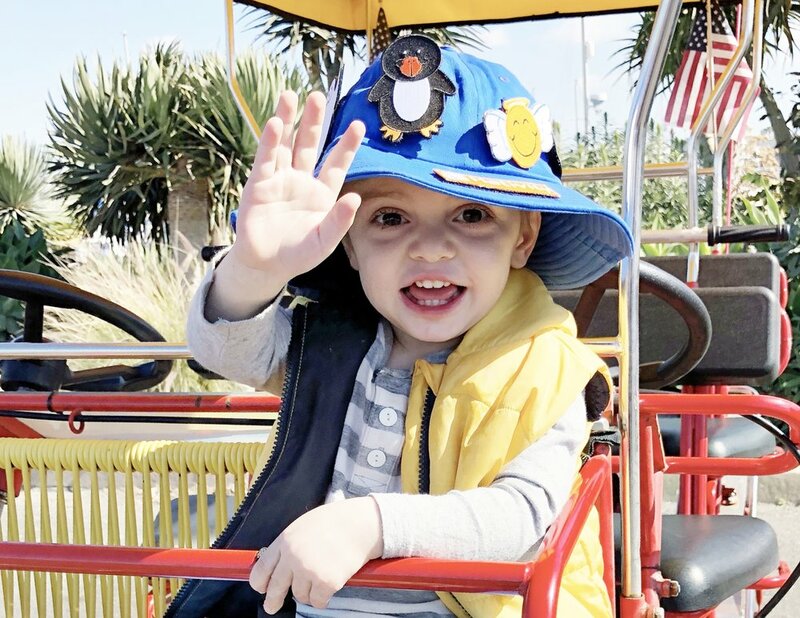 For now, I'll be thinking of my smiley boy who has certainly made mama go through each one of the many emoji expressions during the last five years of his life–– from kissy faces and eyes with hearts, to crying of laughter, angry teeth clinching, dreadful face and proud smiles with blushing cheeks. Love you, my Benny boy. Ferdinand Opens in Theaters Nationwide on December 15! There was something about Ferdinand the Movie that made it especially endearing for me, a mom of boys, to watch with my sons last weekend. We were lucky to get invited to an early screening of the movie. The film is based on The Story of Ferdinand, a book written in 1936 by American author Munro Leaf, that tells the story of a strong and robust bull who prefers to smell flowers than fight against matadors in arenas. This was Toby's first movie theater experience which didn't go exactly as planned but we managed to stay indoors for most of the movie! Overall, it was an adorable film that touched on several current day subjects including...wait for it.... bullying (lol), peer pressure and the idea that it's okay to look a certain way and not fit the role society expects of you. Actor John Cena is the voice behind Ferdinand! Much to my embarrassment, Toby was skeptical about meeting actor John Cena, who voices Ferdinand. Cena was at the Gentle Barn following an early screening of Ferdinand the movie. As a mom of two little guys, I loved the idea that a strong, valiant bull was also gentle, loving and caring. The characters, the soundtrack and the overall message definitely make this a movie worth a holiday trip to the movie theater. It has hilarious scenes, including one where Ferdinand escapes from captivity by entering a home with delicate and intricate china. The bull manages to finagle his way through the room without breaking a single dish, until the old lady who's dusting the plates mistakes Ferdinand's tale for a duster! My two little boys are possibly like Ferdinand in the sense that they may seem a little rough and but they're also sweethearts! Further, and much to my delight, Twentieth Century Fox Animation Studios partnered with The Gentle Barn, a Santa Clarita based animal sanctuary where farm animals are rescued and cared for. The Gentle Barn rescued Ferdinand from what would have eventually become a trip to a slaughter house, as explained by one of the barn's volunteers. Now the young bull can enjoy a safe home at The Gentle Barn, where, the founder says Ferdinand will always have the freedom to be happy and smell the flowers! We had the opportunity of meeting the real Ferdinand at the Gentle Barn! I hope you make it out to the theater and watch the movie! Most importantly, try to visit the Gentle Barn and get involved with organizations that advocate animal rights. We all deserve a chance to be happy and smell the flowers!